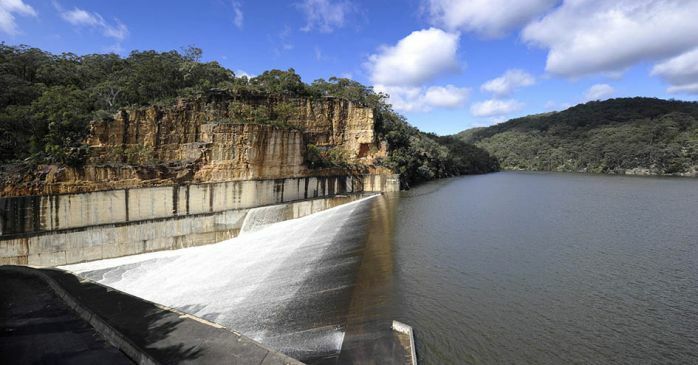 Nepean Dam was the last and smallest of the four dams constructed to collect water from the Illawarra Plateau south of Sydney. Today, you can walk across the dam wall, and soak up the Art Deco style of construction, which contrasts with the Egyptian influenced architecture of Avon and Cordeaux dams. From the lower carpark near the dam wall, walk south along the former construction railway platform now housing log cabin-style picnic shelters to another viewing area of the lake. 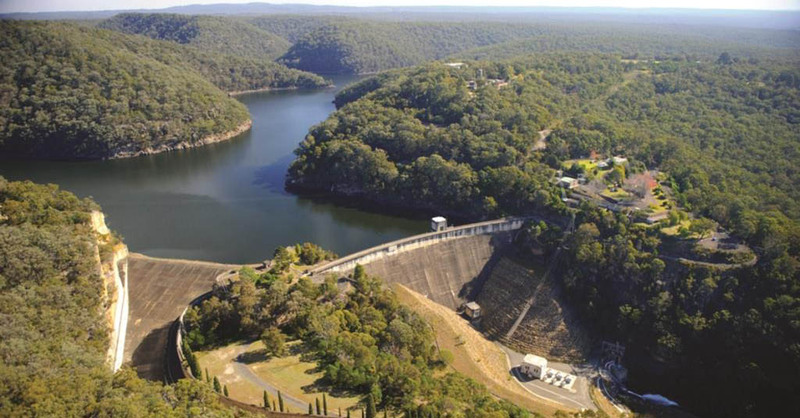 Nepean Dam is about 100 kilometres drive from Sydney. Follow the Hume Highway (F5) south from Sydney and take the Bargo exit to Nepean Dam. 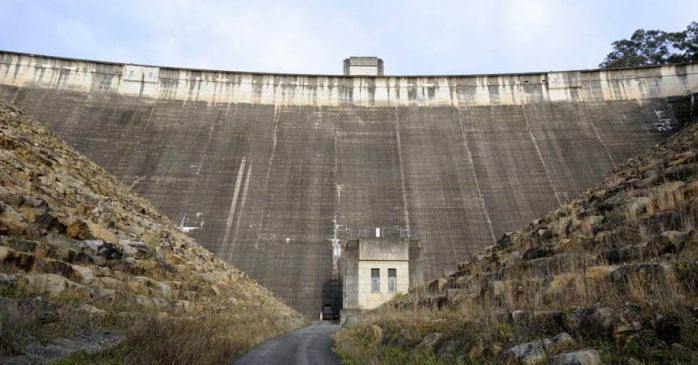 To fully appreciate your picturesque surroundings, take a walk across the dam wall. It's only 216 metres to the other end! Pause halfway and admire the views of the lake upstream. To better imagine how deep the lake is, cross to the other side of the wall and look down. You're 82 metres above the ground! Be on the lookout for reminders of the dam's past as a favoured picnic spot in the 1930s and 1940s, when dams in the Upper Nepean would compete with each other for who had the most beautiful gardens. Enjoy the mixed plantings of European and native trees in a park-like picnic area along a terrace above the dam, and look out for a long line of Roman Cypress trees that follow the line of the spillway. Elevated paths and the dam wall provide impressive views of the lake in its natural bushland setting. 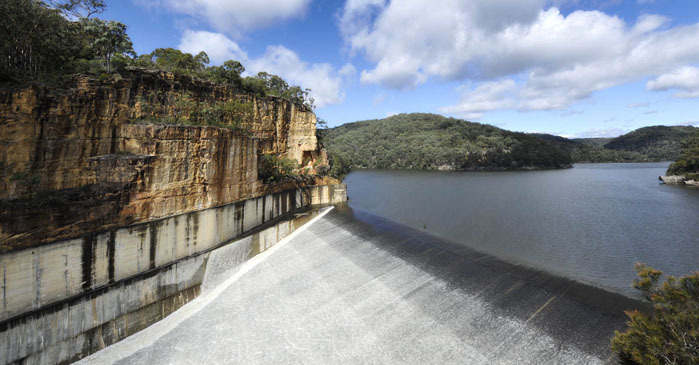 Nepean Dam draws water from a 320 square kilometre catchment, the largest of the Upper Nepean dams. The Art Deco style of Nepean's large concrete structures contrasts with the Egyptian style of Avon and Cordeaux dams. 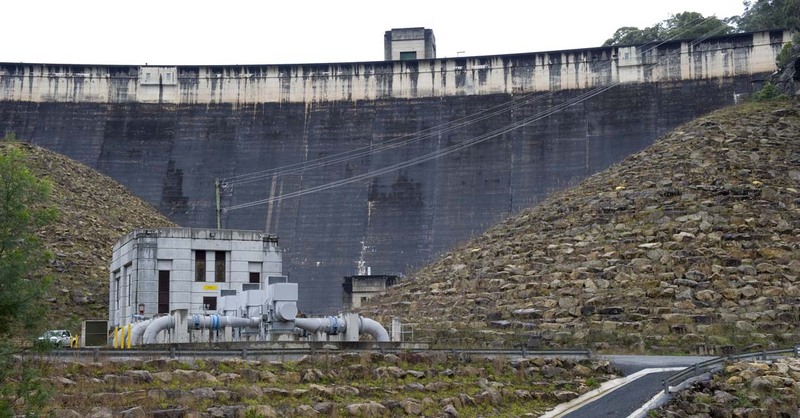 Look out for the concrete lined side spillway, which looks like a smaller version of the massive auxiliary spillway at Warragamba Dam. 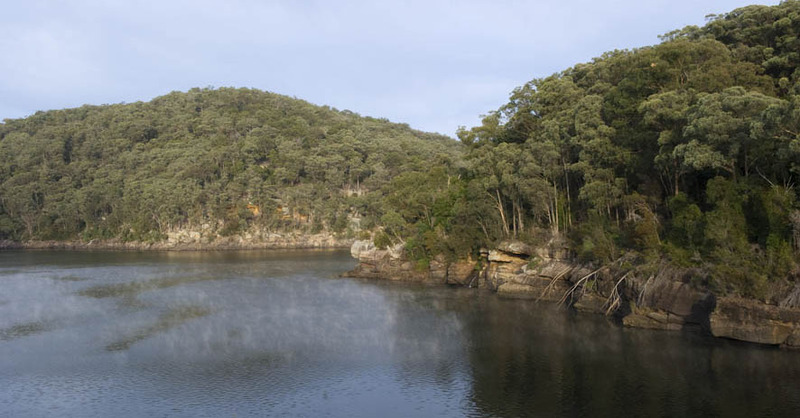 Variable environmental flows from Nepean Dam and the other Upper Nepean dams mimic natural river flows and help sustain the downstream river environment. Look downstream from the dam wall for the environmental flows that are released all day, every day for the health of the downstream river. Relax with family and friends in the landscaped grounds. Throw down a rug and picnic under a shady tree or use one of our tables or shelter sheds. Electric barbecues, drinking water and toilet facilities are located throughout the grounds. There's a children's playground at the top picnic ground. Nearer the dam wall, a row of small timber picnic shelters with a log cabin-style feel run along the remnant platform from the temporary railway built during the dam's construction. Located about 100 kilometres south of Sydney, Nepean Dam was the last and smallest of the four dams constructed to collect water from the Illawarra Plateau. Construction started in 1925 but stopped for two years during the Great Depression, before being completed in 1935. 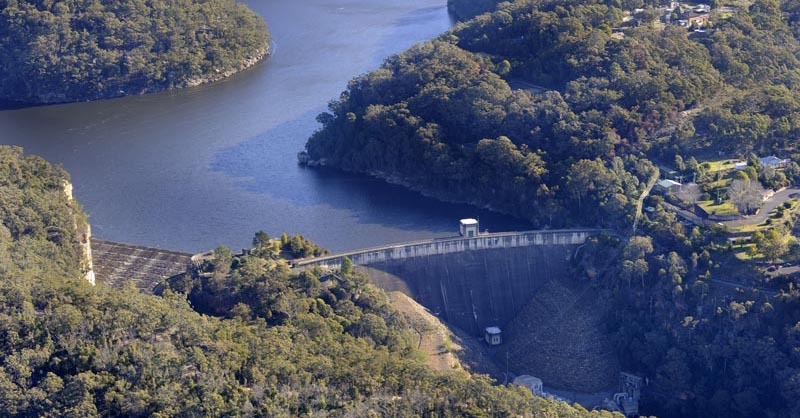 Created by damming the Nepean River, Nepean Dam's main role today is to supply water to the nearby towns of Bargo, Thirlmere, Picton and The Oaks, as well as the Macarthur and Prospect water filtration plants. It also receives water transferred from the Shoalhaven River and Kangaroo River when the Shoalhaven Scheme is in operation to top up our dams. Work on Nepean Dam started in 1925, but was interrupted for a few years by the Depression before resuming in 1933. Materials were hauled on a standard gauge railway line from the main southern line near Bargo. The dam was finally completed in 1935. 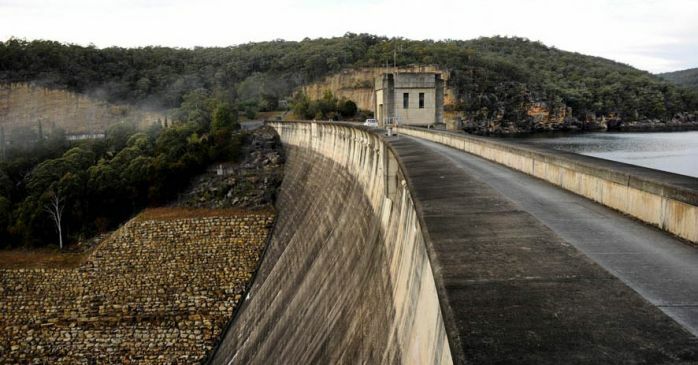 Like all Upper Nepean dams, the wall was built using cyclopean masonry - sandstone blocks, quarried from the site, fitted into an irregular pattern and packed with sandstone concrete. Most of the plant and equipment used for the construction of Avon Dam was dismantled and re-erected at the Nepean Dam site, including cableways and timber towers. A suspension bridge was constructed across the Nepean River which was later used at Warragamba Dam. A township for workers was constructed of timber cleared from the Avon Dam catchment. A typical working man's accommodation consisted of a simple timber hut with a galvanised iron roof. Later, a barracks was constructed for single men. Married men had four and five-roomed cottages. A public school, recreation halls and medical facilities were also provided. After several years of extremely low rainfall in the catchment, heavy rainfall in October 1938 saw the dam finally reach capacity and overflow via its spillway. A tunnel linking Avon and Nepean dams, to enable the transfer of water between dams in either direction, was completed in 1973. 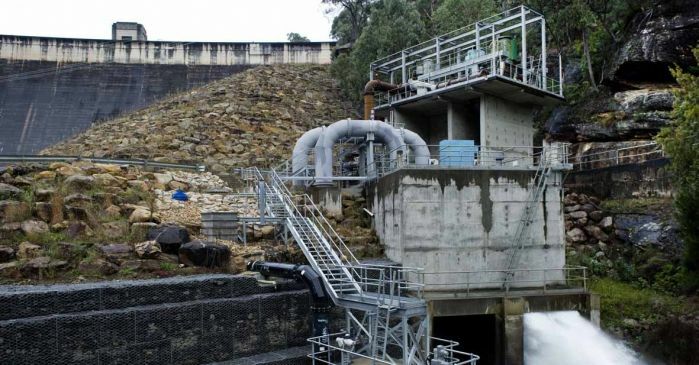 In 2006 a deep water pumping station was built, allowing water to be transferred to Avon Dam even when the level of Nepean Dam is lower than Avon Dam. To meet modern dam safety standards, Nepean Dam was strengthened in 1992 by post-tensioned anchors and a downstream rockfill embankment and further safeguarded by a concrete lined side spillway. The full supply level was also reduced by five metres as part of the upgrade. Nepean Dam collects water from a 320 square kilometre catchment of mostly pristine bushland on the Illawarra Plateau south of Sydney. Nepean Dam's stand-alone crest level spillway. 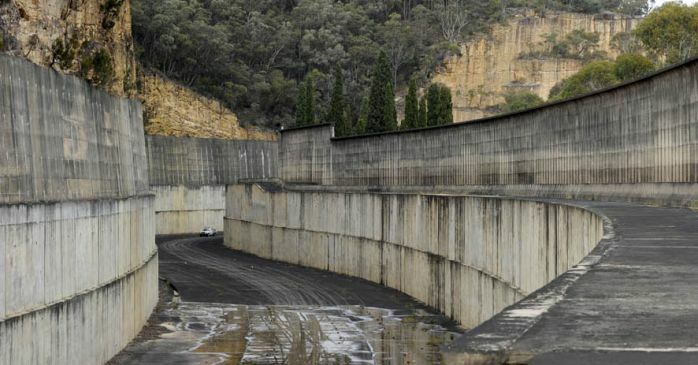 Nepean Dam's spillway flows into a 600-metre long concrete channel to carry water around the dam wall during floods. 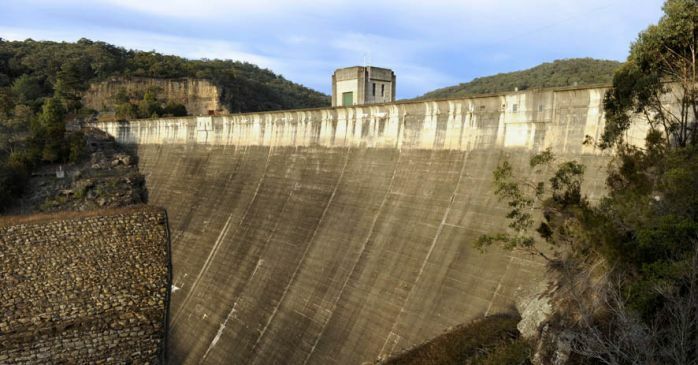 Nepean Dam's wall is 82 metres high, 216 metres long, and is made from large sandstone blocks quarried at the site. Rockfill embankments were added later for extra strength. The lake formed by Nepean Dam covers 3.3 square kilometres and holds up to 68,1000 megalitres of water, making it the smallest of the four Upper Nepean dams. Nepean Dam was constructed between 1925 and 1935. The downstream rockfill embankments were added in 1992 to strengthen the dam wall. Visitors to Nepean Dam may walk along the dam wall to view the lake upstream and river downstream. Nepean Dam's spillway on the lake's western side carries water away from the dam wall during floods. The Art Deco style of Nepean Dam's large concrete structures contrasts with the Egyptian style of nearby Avon and Cordeaux dams. Nepean Dam's wall and spillway were completed in 1935.